It’s no secret that Seattle has become quite the beer focused city. The number of breweries located within Seattle city limits has exploded to a staggering 43 (according to a list put together by the Washington Beer Commission) and many of those have appeared just within the past few years. As more and more people “think local”, they look to local breweries for variations of their favorite microbrews and shun the big name beers found on supermarket shelves. 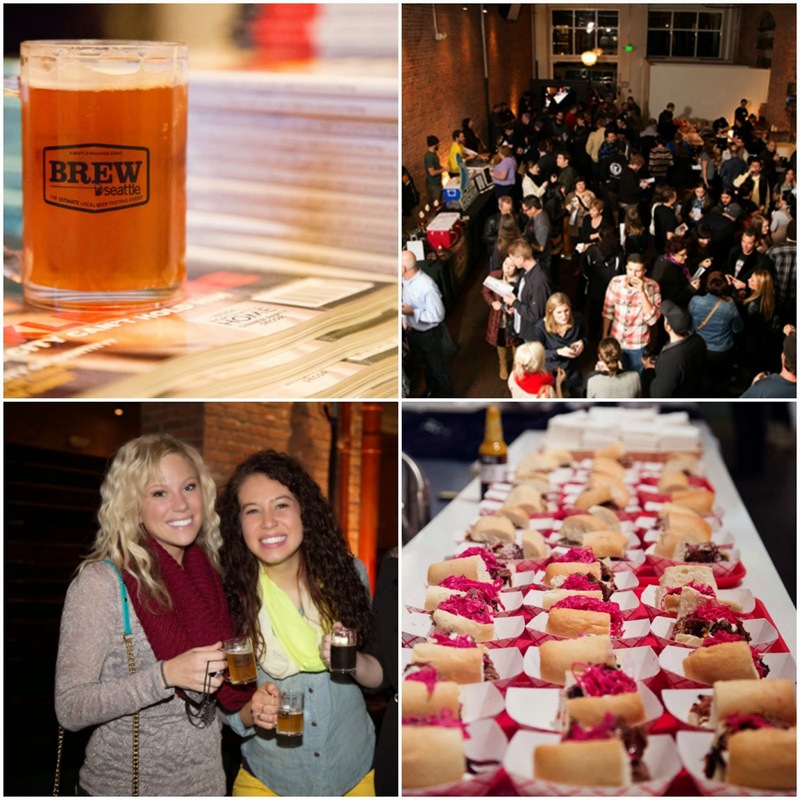 Well, Seattle Magazine’s BREW Seattle on October 10th, 2014 brings local to the masses. This 2nd annual event presented by BevMo (@BevMo) showcases Seattle beer and only Seattle beer. The event is the largest tasting that honors Seattle beer history and only breweries that brew within the city are invited. There are even a few cideries thrown into the mix since, as we know, the term “gluten-free” is quite popular in our fine city. Included in your ticket price is delicious tastes from over 20 local breweries and unlimited BBQ (yes, I said unlimited and BBQ in the same sentence. Commence happy dance!) provided by Pinky’s Kitchen (@pinkyskitchen). No picked over finger foods here folks. This event provides beer AND tons of BBQ in one happy package. Where else can you get that? This year’s event is also being held at the new Fremont Foundry (@fremontfoundry), a beautiful new venue that I know I’ve been eager to check out. Tickets are just $40 and can be purchased here. Want to follow details about the event on the Twitter? Check out hashtag #BREWSeattle for the latest news and info. But WAIT, there’s more! Everyone knows free is the best price, so Sips & The City is giving away a pair of tickets to this beer-tastic event! Feeling lucky? Just leave a comment to this post and tell me what your favorite Seattle brewery is. Easy as that. Make sure to leave your email address so I can contact you with details on how to claim your prize if you win! A random drawing from all comments received will be done Thursday October 2nd. Good luck! A glimpse of the fun from last year's BREW Seattle! 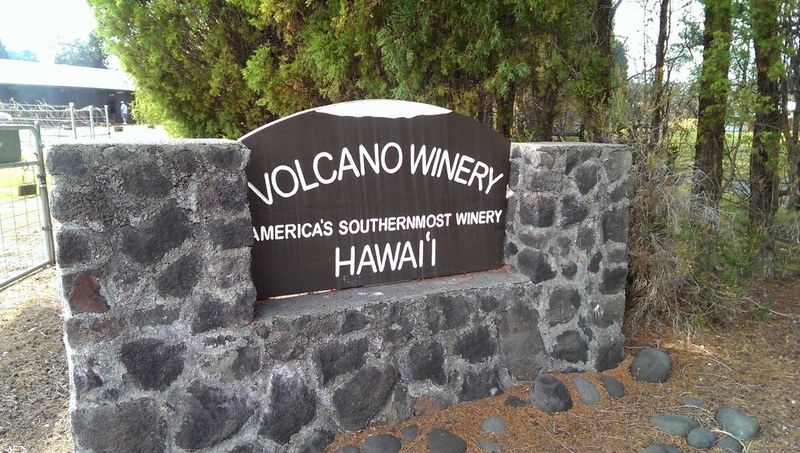 In another exciting edition of “Sips on the Road”, I visited America’s Southernmost Winery, Volcano Winery (@VolcanoWinery), on the Big Island of Hawai'i! I had done my research in advance of my trip to the island and knew that our road trip from Kailua-Kona around to Hilo and back would take us directly through the small town of Volcano, Hawai'i where the winery is located. While we had a bit of a trouble with where to turn (i.e. we were farther east than we thought when we exited Hawaii Volcanoes National Park and had to double back) we made it up to the winery and were delighted to find that there weren’t many people already there (my favorite types of visits, I love chatting with tasting room staff when they are available!). I don’t know about you, reader but I LOVE Bacon and Beer and could not be more excited for this first ever event brought to Seattle by Cannonball Productions. The Bacon and Beer classic will be held in two sessions at Safeco Field May 17th. If the name of this event alone hasn’t convinced you to buy your tickets right now, continue reading the details below! Once again, Taste Washington lived up to its name as the biggest and best single region wine tasting event by bringing in 225+ wineries, 65+ restaurants and a whole lot of delicious fun down at CenturyLink FieldEvent Center. As I did last year, I mapped out my plan in advance. I went through the great event guide and picked out my “must get to” stops for both wineries and restaurants. Of course there were the big names like Betz and Doubleback on my list, but my main mission (as it was last year) was to try new things. When faced with an expansive room containing more wine choices than I would ever be able to try in a week let alone the short time I had that afternoon, I chose to seek out a few wineries I had never even heard of. I really love this approach, as it helps me expand my knowledge of Washington wines, AVAs and wineries and I don’t keep going back to what I know (disclaimer: of course I still had several from ones I already know and love, but that’s beside the point…). So I perused the event guide and picked out wineries that I had either A. heard of but never tried or B. never heard of and never tried. This proved to work out well for me, as I discovered a few gems throughout the afternoon that made me excited to see more from these wineries. Seattle is a wonderful place for food & wine events and there is another coming up that should not be missed. The Seattle Weekly's 5th Voracious Tasting & Food Awards is an annual event that I have had to miss for one reason or another the past few years. And I’m always seriously disappointed that I’m not there once I start reading all of the tweets and seeing the photos posted by attendees. Well, no more! This year I will be front and center at the tasting tables on Thursday April 24th and you should be too! Come and indulge in an evening of unlimited bites and booze from some of Seattle's best restaurants, food trucks, specialty food artisans and mixologists while taking in the sights of the historic Paramount Theatre. This year's participants include Shanik, Tanaka San, Sky City, Collections Café, Pinxto, Rob Roy, Skillet, Blind Pig Bistro, Prima Bistro, La Bête, Poquitos, Plaka Estiatorio, Veraci Pizza, Contigo, Snout & Co., Jemil's Big Easy, Los Chilangos, Pie and more to be announced as the event nears. Tickets are $50 for general admission (7:30pm) or go all out and spring for a $90 VIP ticket that gets you exclusive early 6pm access to the Paramount Theatre, private bar in the VIP Lounge and a VIP Swag bag. Tickets can be purchased here. This year’s event is sponsored by the Washington Beef Commission and a portion of the proceeds will be donated to Beef Counts at Food Lifeline. Feeling lucky? You can enter to win a pair of VIP tickets to this year’s event from Seattle Weekly here! So get your tickets today and I’ll enjoy some sips and samples with you at the 2014 Seattle Weekly Voracious Tasting & Food Awards on April 24th! It’s Washington wine month once again (or #WAWineMonth to those of us Twitter savvy folk) and you know what that means: TASTE WASHINGTON IS NEAR! Every year, the month of March gives us a month-long celebration of Washington’s award winning wine industry. The month ends with the biggest and baddest wine event of the year. The 17th annual Taste Washington (@TasteWashington) is the largest single-region wine and food event in the United States, featuring more than 225 Washington State wineries and more than 65 Pacific Northwest restaurants. There are, in fact, so many wineries and restaurants at this event that if you don’t go in with a game plan you’re going to be wide eyed and overwhelmed trying to decide what to try next (trust me on this, map it out in advance, CenturyLink Field Event Center is a large facility!). 2014 Seattle Wine & Food Experience Wine Awards Results Announced!